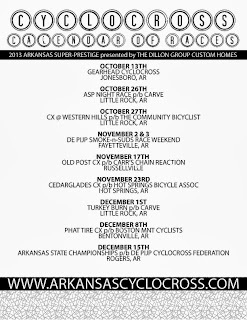 Ben Glenn of De Pijp Racing has put together a sweet calendar of the 2013 Arkansas Super-Prestige races. I recommend setting it as your wallpaper. 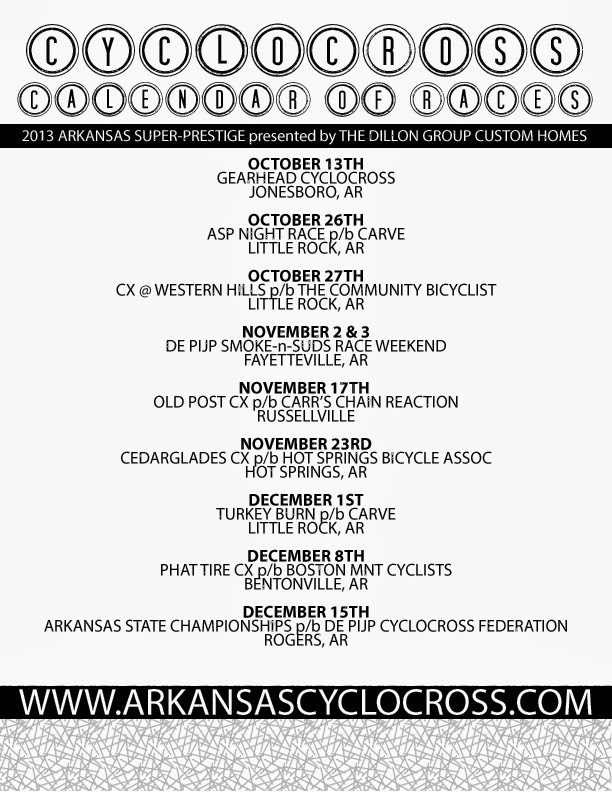 Even better, download the hi-rez PDF and blow it up to poster size. Whatever it takes.